South Africa is known as the Rainbow Nation due to the many different races and cultures represented in this wonderful country. It is home to, perhaps surprisingly, many Indian communities. The country therefore embraces many of the Indian festivals, especially those that align with the united beliefs across the nation. 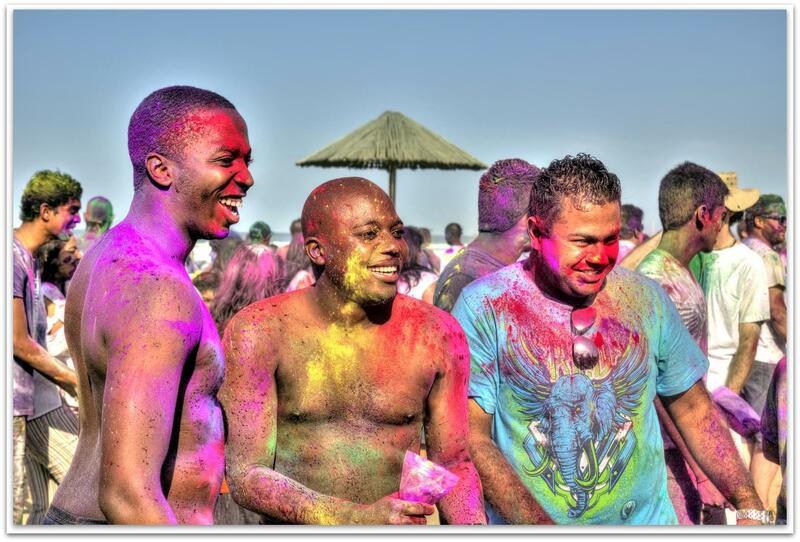 That’s why Holi – a celebration of color - is a beautiful and widely celebrated holiday in South Africa. This year it takes place on Sunday, 12 March. It is a day when these many cultures unite, embrace and celebrate as equals. Much of the country follows the Holi traditions. The principal activity is the ‘Big Toss’ when color powder is tossed at loved ones, friends, family, as well as strangers and passer byers, (no one is safe!) while singing the traditional songs of Holi. At that point it is not easy to identify your neighbor by age, gender, race or social status. The crowd is as colorful as a rainbow! The Holi festival is a great way to make new friends. It generates new affection and love in relationships …. sometimes even enemies become friends on this day! It is also a festival that speaks to the bountiful colors of the country and one that inspires some artistry on the products hand crafted by our artisans. Tourists can also join in on this fun festival. The color powder is called ‘Gulal’ and consists entirely of natural ingredients - so not to worry about any harm to skin or clothing. It is a joyful experience, one of equality, unity and a feeling of what it must be like somewhere over the rainbow! OFF OUR COLORFUL HAND PAINTED LINENS! Use DISCOUNT CODE: HOLI 2017. View the selection here and Learn More About the Hands that make this Product! Offer valid through Sunday March 12.